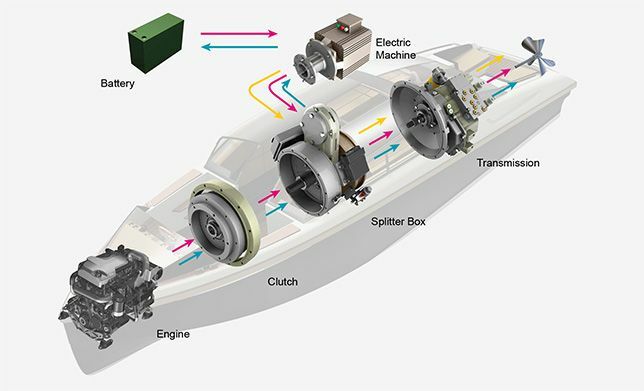 Eneria offers an easy hybrid solution based on Caterpillar engines with Transfluid parallel hybrid systems and Twin Disc marine transmissions. Eneria contributes to make the Marine Industry greener and safer, to reduce emissions and fuel consumption thanks to our hybrid propulsion solution. This parallel hybrid solution is suitable for Cat® engines from 250 HP to 1600HP (C7 to C32). Come and visit us at Cannes Yachting Festival where a new hybrid solution will be exhibited with a new Cat engine C8.7 with a Transfluid Hybrid module HM 3350. 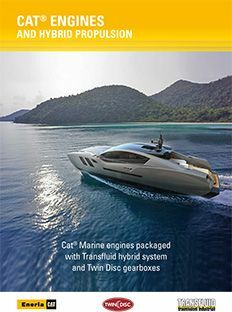 Share the post "Cat® Marine Engines and Hybrid Propulsion"